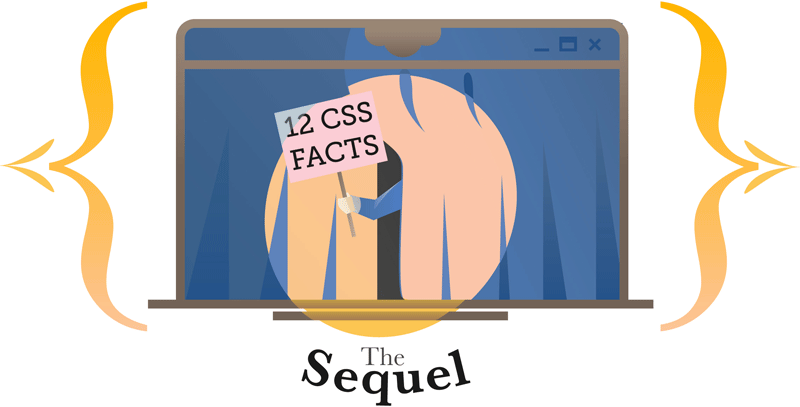 Over a year ago I published the original 12 Little-known CSS Facts and, to this day, it has been one of SitePoint’s most popular articles ever. Since that post was published, I’ve been collecting more little CSS tips and tidbits for a new post. Because we all know that every successful movie should spawn a cheesy sequel, right? So let’s get right into this year’s developer’s dozen. I’m sure many of us will know at least some of these, but you can let me know in the comments how many of these were new to you. This is something I’ve written about before more than four years ago on SitePoint, but I still think many beginners and even some experienced developers don’t know this feature exists. Most border-radius generators do not allow you to set these optional values. The MDN generator is the only one I’ve found that does this. Normally when you see the font-weight property defined, the value will be either normal or bold. You might also occasionally see an integer value in hundred increments: 100, 200, etc., up to 900. The two values that are often forgotten, however, are bolder and lighter. According to the spec, these keywords specify a bolder or lighter weight than the inherited value. This comes into play most significantly when you are dealing with a font that has multiple weights that are bolder than just plain “bold” and lighter than just normal text. In the hundred-based values, “bold” maps to 700 and “normal” maps to 400. So if you have a font that has a 300 weight, but nothing lower, a value of “lighter” will produce 300 if the inherited value is 400. If there is no lighter weight (i.e. 400 is the lightest weight) then it will just stay at 400 and thus a value of “lighter” will have no effect. See the Pen Using font-weight bolder/lighter Keywords by SitePoint (@SitePoint) on CodePen. In this example, I’m using a font called Exo 2, which has 18 different styles available. My demo embeds only the non-italic styles, which are enough for each of the hundred-based weights. In this case, the “bolder” and “lighter” keywords will map only to the 100, 400, 700, and 900 values. With 9 different styles, these keywords will never map to the 200, 300, 500, 600, and 800 values. This happens because you’re telling the browser to choose the next font in the series that is considered either ‘bold’ or ‘light’. So it’s not picking the next boldest or the next lightest, but merely a bold or light font relative to what is inherited. If, however, the lightest font started at 300 (as in the case of Open Sans), and the inherited value was 400, then a value of “lighter” would map to 300. This might all be a bit confusing at first, but you can fiddle around with the demo to see how these keywords work. The outline property is pretty well known due to its ability to help in debugging (it doesn’t affect page flow). The spec, however, has added an outline-offset property, which does exactly what its name suggests — it lets you define how far the outline should be offset from the element. See the Pen The outline-offset property by SitePoint (@SitePoint) on CodePen. In the demo above, move the range slider left or right to see the outline offset change. The range in this example covers 0px to 30px, but you could go as large as you want in the CSS. Take note that although the outline property is a shorthand property, it doesn’t include outline-offset, so you always have to define outline-offset separately. The only major drawback to the outline-offset property is the fact that it’s supported in every browser except Internet Explorer (not even IE11). You’re probably thinking, Old news. I know all about display: table, bruh. Easiest way to vertically center! But that’s not what I’m talking about. Notice I said the table-layout property, not the display property. With this (fast) algorithm, the horizontal layout of the table does not depend on the contents of the cells; it only depends on the table’s width, the width of the columns, and borders or cell spacing. That might be the first time in W3C specification history that something is hard to understand. LOL JK. But seriously, as always, a live example will help. In the following demo, the table has table-layout: fixed added in the CSS. Click the toggle button to toggle it off, then on, etc. See the Pen Using the table-layout property by SitePoint (@SitePoint) on CodePen. You can see in this example the advantage of using table-layout: fixed, as opposed to the default of auto. This won’t always be the best choice and it won’t always be necessary, but it’s a nice one to keep in mind when dealing with tables that have cells with variable-width data. Chris Coyier did a great write-up on this property last year, so if you want a much more comprehensive discussion, that’s your best bet. If you’ve been coding websites since the mid-2000s or earlier, or if you’ve done a lot of HTML emails, then you’ve probably at some point assumed the vertical-align property was the standard upgrade to the old HTML4 valign attribute, which is now listed as an obsolete, non-conforming feature in HTML5. But vertical-align in CSS doesn’t really work that way. Except on tables. Which, I think is kind of weird, but I suppose it makes more sense than the property not working at all on tables. So what’s the difference when this property is applied to regular elements compared to table cells? It works only on inline or inline-block elements. It has no effect on the contents of an element but instead it changes the alignment of the element itself in relation to other inline or inline-block elements. It can be affected by text/font settings like line-height and by the size of adjacent inline or inline-block elements. See the Pen Using the vertical-align property on inline elements by SitePoint (@SitePoint) on CodePen. 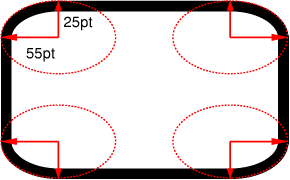 The vertical-align property is defined on the input element. By pressing one of the buttons, you’ll change the value to what’s written on the button. You’ll notice that each of the values changes the position of the input. Overall, that demo is a really rudimentary look at this property and its values. For a much deeper look, check out Christopher Aue’s 2014 post. When it comes to tables, however, vertical-align works very differently. In such a case, you apply the property/value to one or more table cells, and the content of the table cells is affected by the chosen alignment. See the Pen Using vertical-align on table cells by SitePoint (@SitePoint) on CodePen. As shown in the above demo, only four of the values work on table cells, and although there is an effect on the sibling cells with a value of baseline, the main effect is on the alignment of content inside the cell on which you’ve applied vertical-align. The ::first-letter pseudo-element allows you to style the first letter of an element, letting you do a drop-cap effect which has been common in print for many years. The good thing about this one is that browsers seem to have a decent standard for what constitutes the “first letter” of an element. I first saw this when Matt Andrews tweeted about it, although he seemed to imply that it was a bad thing. You can see his examples in the CodePen below. See the Pen Testing ::first-letter by SitePoint (@SitePoint) on CodePen. Looks to me like the four big browsers all handle these the same way, so that’s great because I think this is the correct behavior. It would be a little weird if something like an open parenthesis was treated as a “first letter”. That would be more like “first character”, which I suppose could be a whole new pseudo-class in itself. This concept was discussed in 2013 by Ben Everard, and I think it’s worth expanding on. Ben’s post was about using the slash (“/”) character to separate his HTML classes into groups, to make his code easier to read or scan. As he points out, although the unescaped slash is an invalid character, browsers don’t choke on it, they simply ignore it. All these variations seem to work fine, which you can test in the demo below. See the Pen Illegal Characters as HTML Class Delimiters by SitePoint (@SitePoint) on CodePen. In this case, the animation will run a half time (that is, it will stop halfway through its first iteration). Let’s look at an example demo that animates two balls on the page. The top ball has an iteration count of “1” while the bottom ball has an iteration count of “.5”. Update: As pointed out in the comments, these demos don’t work correctly in Safari on desktop or mobile. This is because of a bug in relation to the fill mode, which I’ve filed here, and which has since been fixed. It will be corrected in future stable updates. See the Pen Using a Fractional Iteration Count by SitePoint (@SitePoint) on CodePen. What’s interesting about this is that the iteration duration is not based on the property/value that’s animating. In other words, if you animate something 100px, the halfway point is not necessarily at 50px. For example, the previous animation uses a timing function of linear, so this ensures the second ball stops visually at the halfway point. See the Pen PqRxov by SitePoint (@SitePoint) on CodePen. Notice now the second ball passes the halfway point before it stops. Again, this is because of the different timing function. If you understand timing functions, then you’ll also realize that a value of ease-in-out will position the ball in the same place as linear. Fiddle around with fractional values and the timing functions to see the different results. See the Pen An animation called “reverse” won’t work in shorthand by SitePoint (@SitePoint) on CodePen. The animation doesn’t work because “reverse” is a valid keyword value for the animation-direction property. This will happen for any animation name that matches a valid keyword value that’s used in the shorthand syntax. This will not happen when using longhand. Animation names that will break the shorthand syntax include any of the timing function keywords, as well as infinite, alternate, running, paused, and so forth. See the Pen Selecting Ranges of Elements with CSS by SitePoint (@SitePoint) on CodePen. Update: As pointed out in the comments, Safari has a bug that prevents this technique from working. Fortunately, a solution proposed by Matt Pomaski seems to fix it: Simply reverse the chain so it looks like ol li:nth-child(-n+14):nth-child(n+7). WebKit nightly doesn’t have this bug, so eventually you’ll be able to get this working normally in Safari. This code uses chained structural pseudo-class expressions. Although the expression itself might be a bit confusing, you can see the range you’re targeting by the numbers used in the expression. To explain exactly what this is doing: In the first part of the chain, the expression says “select the 7th element, then every element after that”. The second part says “select the 14th element, and every element before that.” But since the selectors are chained, each limits the previous one’s scope. So the second part of the chain doesn’t allow the first part to go past 14 and the first part of the chain doesn’t allow the second part to go back past 7. For a more detailed discussion of these types of selectors and expressions, you can read my old post on the subject. If you’re like me, at some point you’ve probably tried to apply a pseudo-element to an image or a form input. This won’t work because pseudo-elements don’t work on replaced elements. I think many developers have the assumption that void elements (that is, elements that don’t have closing tags) all fall under that category. But that’s not true. See the Pen Pseudo-elements on a Horizontal Rule (hr element) by SitePoint (@SitePoint) on CodePen. The colored area in that example is a horizontal rule (hr element) and it has both ::before and ::after pseudo-elements applied to it. Interestingly, I couldn’t get the same result using a br element, which is also a non-replaced void element. You can also add pseudo-elements to meta tags and link elements, if you are crazy enough to convert those to display: block, as shown in the demo below. See the Pen Adding pseudo-elements to meta tags and link (stylesheet) elements by SitePoint (@SitePoint) on CodePen. That would work fine. But what about this? Notice both attribute values are now in uppercase. In this case, the .box element will not receive the styles, because the class attribute is case sensitive. The email field, on the other hand, will apply the styles because the value of the type attribute is not case sensitive. Nothing necessarily groundbreaking here, but maybe it’s something you hadn’t realized before. Well, the curtain has officially dropped on this hopefully-not-so-cheesy sequel. It feels like I’m learning unique little CSS tidbits every week and I hope some of this information was new to most of you. What’s your favorite, obscure CSS trick or technique? Is there a property or other feature that you think isn’t very well known, but has good browser support? Let us know in the comments.